The federal mortgage guaranty agency’s regulations say that three years after a mortgage foreclosure, you’re once again eligible for a home mortgage without regard to the prior foreclosure. Although you may think this is too good to be true, it’s true anyways, as FHA and HUD regulations show. You might think you heard that you had to wait ten years, but that’s from the Fair Credit Reporting Act’s rules on bankruptcy and credit reports. Or seven years, but that’s from the Bible (see Deuteronomy 15:1 and 2). A borrower is generally not eligible for a new FHA-insured mortgage if, during the previous three years, his/her previous principal residence or other real property was foreclosed, or he/she gave a deed-in-lieu of foreclosure. 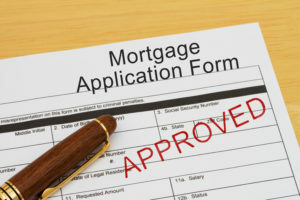 Exception: The lender may grant an exception to the three-year requirement if the foreclosure was the result of documented extenuating circumstances that were beyond the control of the borrower, such as a serious illness or death of a wage earner, and the borrower has re-established good credit since the foreclosure. Divorce is not considered an extenuating circumstance. An exception may, however, be granted where a borrower’s loan was current at the time of his/her divorce, the ex-spouse received the property, and the loan was later foreclosed. Note: The inability to sell the property due to a job transfer or relocation to another area does not qualify as an extenuating circumstance. HUD 4155.1 4.C.2.f. While letting your home mortgage be foreclosed by the lender is traumatic for most people to think about, don’t view it as a foreclosure of your chances to ever buy another home again. That’s simply not the case.